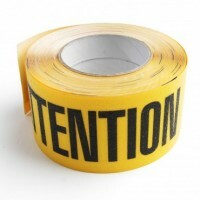 Our customers asked for an anti-slip floor marking tape that was as durable as it was effective. NovaTough DuraLine is the floor tape made for heavy duty manufacturing. Health and safety, particularly in heavy duty environments: Ramps, steps, stairs, scaffolds, platforms and walkways in manufacturing and construction environments. Why use heavy duty floor marking tape? 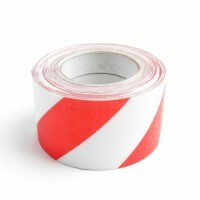 Your hazard marking tape can only perform as long as it maintains its integrity. In the toughest manufacturing environments, where your floor marking tape is subjected to dust, dirt, heavy machinery, and constant wear and tear, only the toughest tapes will provide long-lasting protection against hazards, slips and trips. NovaTough DuraLine is a printed floor grade vinyl tape over-laminated with a heavily embossed, durable, clear PVC anti-slip protective laminate. 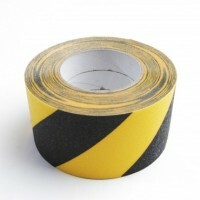 The result is a hazard marking tape that protects people and production for longer. NovaTough DuraLine floor marking tape is BGR Classified to R11 for slip resistance in use as a floor graphic. It observes both DIN 51130 and BGR 181 for ramp test slip resistance of floor coverings. Ensure surface on which DuraLine will be applied is clean, dry and free from loose or peeling materials. Apply a thin coat of Anti-Slip Surface Primer to the area where DuraLine will be placed and allow to dry fully. Continue to remove liner while firmly pressing exposed floor marking tape into place. Mop or wipe to keep your floor marking tape visible.